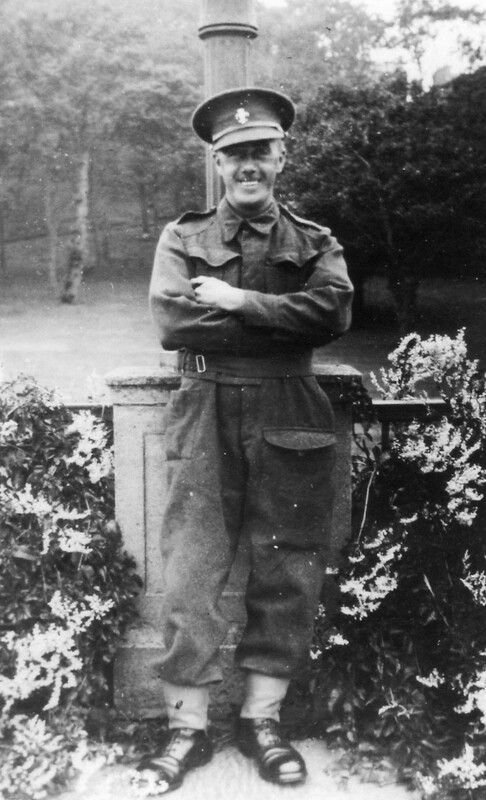 Private Lomas at Loch Promenade in Douglas on the Isle of Man between 1942-1943. Courtesy V. Lomas. This is a photograph of Private Sidney Lomas seen proudly with his Fleur de Lis cap and collar badges, taken at Loch Promenade in Douglas on the Isle of Man between 1942-1943. In the background of the photo is the Monaville hotel. 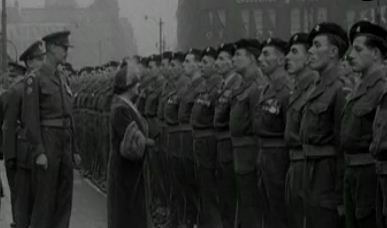 Queen Elizabeth The Queen Mother visiting the Manchester Regiment in Manchester in 1951.Courtesy V. Lomas. Private Lomas enlisted in the Manchester Regiment – 9th Battalion The Manchester Regiment (TA) on April 8th, 1937 until he was discharged on the February 3rd, 1945. Private Lomas was stationed in France from April 16th to May 25th with the 9th Battalian during WWII and was engaged in particularly heavy fighting at Arras, northern France which led to the Allies eventually abandoning the town to the Germans. After which Private Lomas was repatriated in what would eventually become the largest evacuation in world history at Dunkirk in France between May 29th June 4th, 1940. 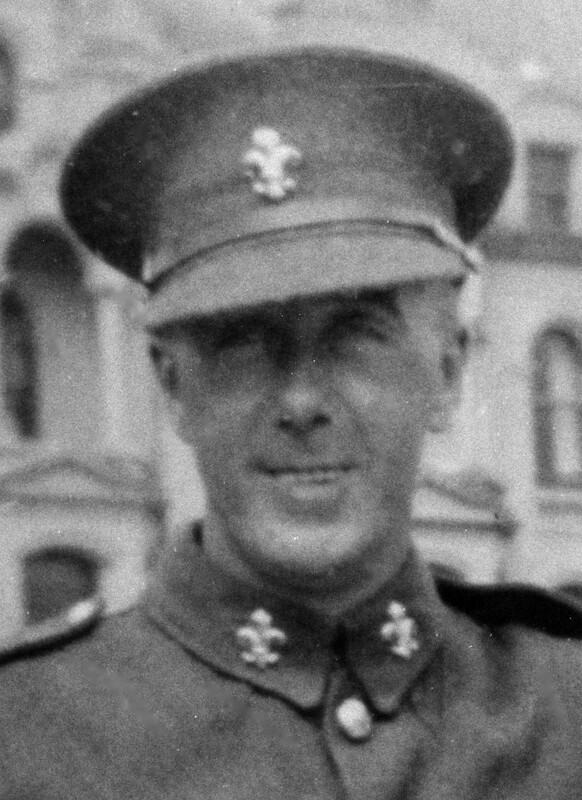 Private Lomas seen with forage cap, shortly into his military service. Courtesy V. Lomas. In total over 330,000 Allied soldiers were rescued in the evacuation, code-named Operation Dynamo, after being cut off by the advancing German troops on the beaches of Dunkirk. Private Lomas was one of the fortunate soldiers who managed to scramble aboard one of what became known as the “Little Ships” – a ramshackle flotilla of 693 private fishing boats, pleasure craft and merchant vessels – that sailed from Ramsgate to the French coast knowing nothing of the horrors that awaited them (Hardy 2011). Private Lomas with the troops in Llandudno in 1940. Courtesy V. Lomas. After Dunkirk, Private Lomas was posted to the Isle of Man from Okehampton, South Devon in September, 1940, after the 9th Battalion had reorganised at Llandudno, north Wales in the aftermath of the Dunkirk evacuation. The Isle of Man throughout WWII (1939-1945) and WWI (1914-1918) was used by the British Government as a base for Alien Civilian Internment camps, where civilians who were deemed to pose a threat to Britain were imprisoned without charge, trial or set term. 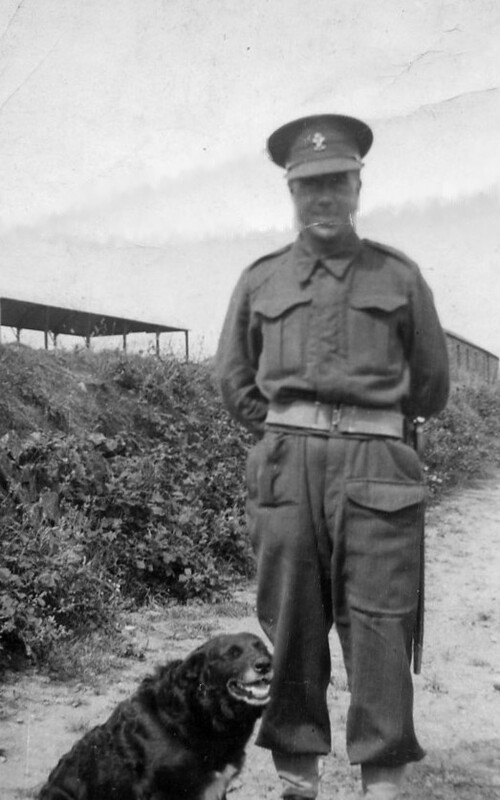 Private Lomas in full uniform. Courtesy of V. Lomas. After the war broke out, all Germans and Austrians had to appear before a tribunal set up in their local area inorder to classify and categorise them by putting them into three categories of ‘risk’ that they potentially posed to Britain: ‘A’ being -doubtful risk, posing a potential threat – to be interned at once.’B’ loyal but a little suspect and can remain at liberty and ‘C’ posing no risk. Groups who were also seen as a threat to national security were also interned on the Isle of Man, such as the British Union of Fascists (BUF) formed by Sir Oswald Mosley in 1932 and the Irish Republican Army (IRA). Private Lomas outside the Monaville hotel, Loch Promenade, Douglas, Isle of Man between 1942-1943. Courtesy V. Lomas. Whilst on the Isle of Man, Private Lomas was an internee and prison guard at most of the internment camps, Douglas Aliens Detention Camp, Hutchinson Camp where world famous musicians, the Amadeus Quartet have there foundations. After his service on the Isle of Man came to an end Private Lomas was transferred to the Pioneer Corps in 1942 and attached to the Oldham Pioneer Department, after which he was transferred to Donningtorn on November 3rd 1942, to await his return to the Isle of Man on December 29th 1942, where he was stationed at the Onchan Internment Camp, which was the first camp in the Douglas area. 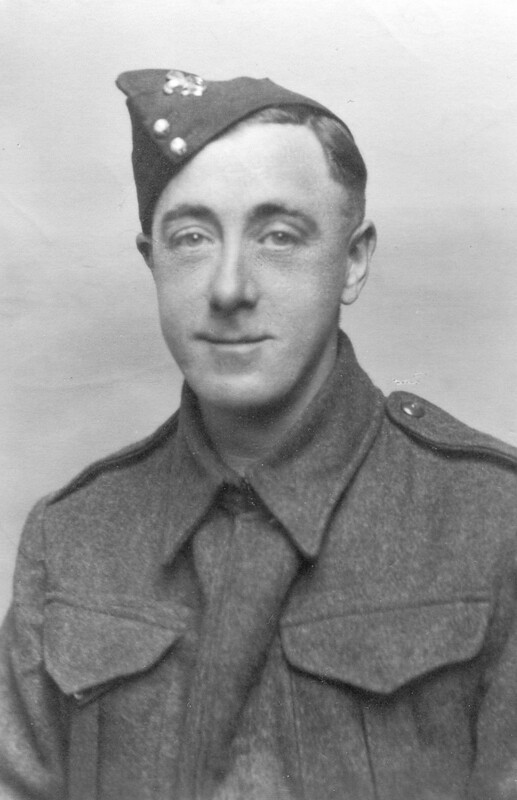 After his service on the Isle of Man came to an end, Private Lomas would also serve at the Woodhouselee POW Camp, at Milton Bridge in North Midlothian until 1944. Private Sidney Lomas total service to the army and his country was 5 years and 156 days. Private Lomas in 1941. Courtesy V. Lomas. Thank you to V. Lomas for their invaluable help in writing this post. 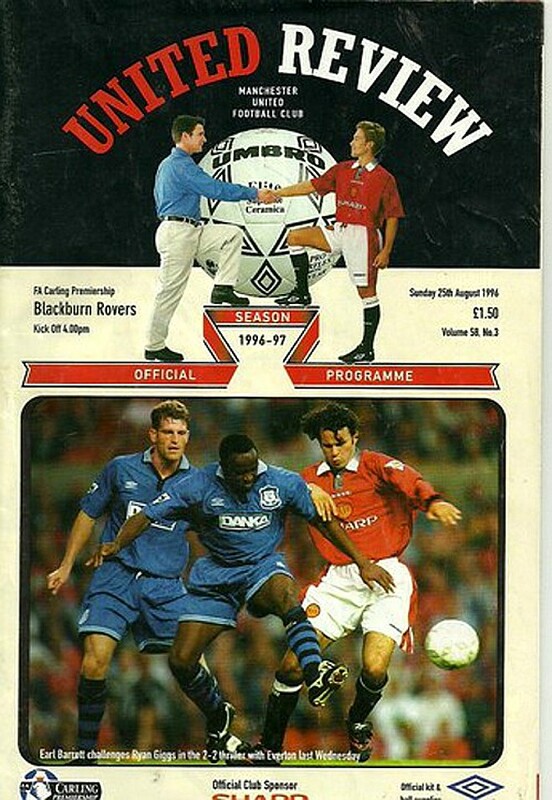 This is a programme from the FA Premiership game between Manchester United and Blackburn Rovers, played at United’s homeground, Old Trafford on Sunday August 25th 1996. One of United’s greatest player’s, Cardiff born, Ryan Giggs appears in action on the front cover. The match ended 2-2, with Jordi Cruyff and another United legend and Norwegian international, Ole Gunner Solskjaer snatching the second to earn United a draw after coming from 1-2 behind. Paul Warhurst and Lars Bohinen scored for Blackburn Rovers. United would eventually win the League that season, having also triumphed the previous season. Solskjaer, known as the Baby-Face Assassin for his predatory finishing and his youthful looks, appeared 366 times for Manchester United, scoring 126 times with almost half the goals coming from Solskjaer coming on as substitute. Solskjaer is now a successful manager of Molde FK in Norway, whom he played for before signing to Manchester United and who he led to there first ever league title in 100 years, in 2011. 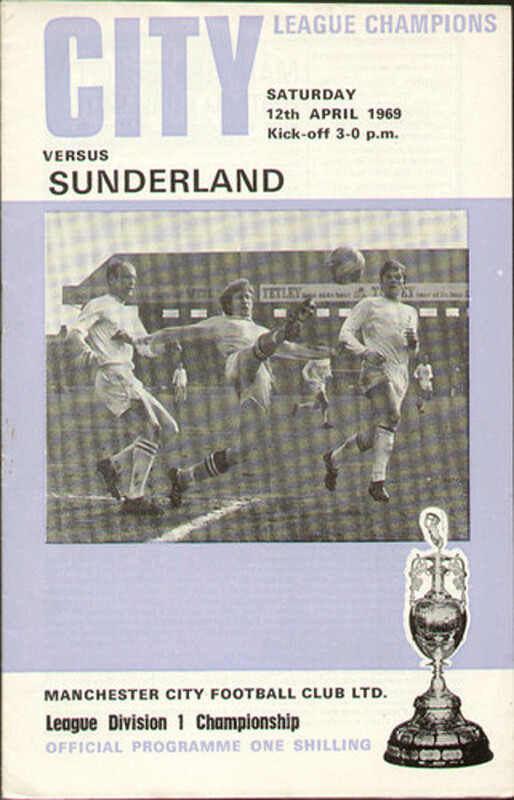 This is a programme from the Division 1 game between Manchester City and Sunderland, played at City’s homeground, Maine Road on Saturday April 12th 1969. One of City’s greatest player’s, County Durham born, Colin “The King” Bell appears in action on the front cover. City went on to win 1-0, with Fallowfield born City legend, Neil Young scoring the winner. Tragically Neil Young lost his fight with cancer in 2011. He was 66 years old. City’s homeground in this period was Maine Road in Moss Side, playing there from 1923-2003, before there move to the City of Manchester Stadium in Bradford and now renamed the Etihad Stadium after its sponsors Etihad Airways. Maine Road stadium was demolished in 2004, after more than 80 years of football history and having been host to arguably Manchester City’s greatest teams, for which Colin Young was very much apart. Dalek meets its match at Belle Vue in 1965. Photograph courtesy of P. Stanley. This is a black and white print of a press photograph print taken at Belle Vue on Janaury 26th 1965. It shows a Dalek from BBC cult science fiction series, Dr Who, posing with an elephant at Belle Vue’s Zoological Gardens in Gorton. 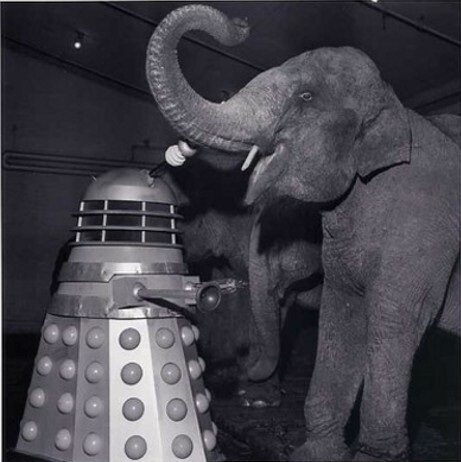 The press release that accompanied the photo read: The Daleks of the BBC television series Doctor Who take to the ring with elephants at Belle Vue Circus in Manchester, 26th January 1965. In 2008, lost audio tapes created by legendary Dr Who composer and First Lady of Techno, Delia Derbyshire were donated to University of Manchester for cataloging and preservation. Delia Derbyshire at work in 1965. Courtesy M. Guy. 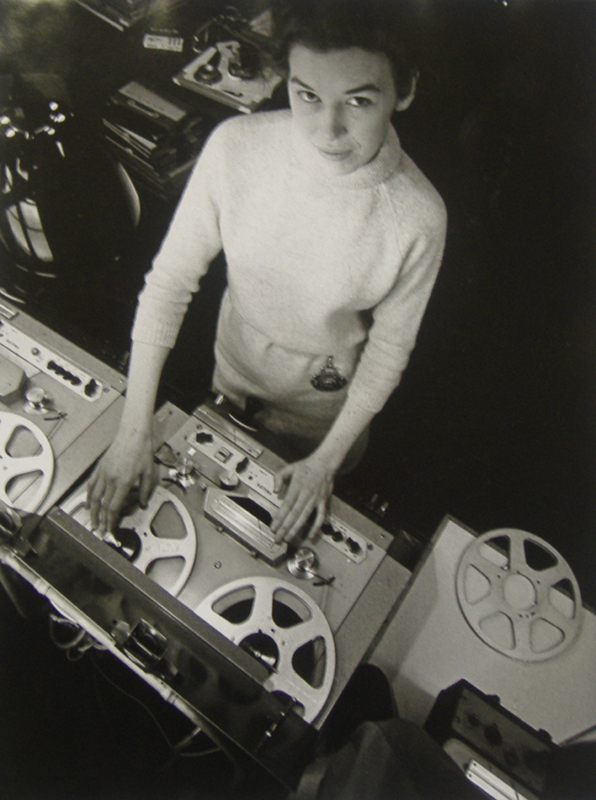 Created at the BBC Radiophonic Workshop between 1962-1973, the 267 tapes reveal her ground breaking work, including early experiments in electronic music and in particular her realisation of the famous Dr Who theme music (link at bottom of page) composed by Ron Grainer. Derbyshire was the one who did all the fantastic weird and wonderful sound distortions. 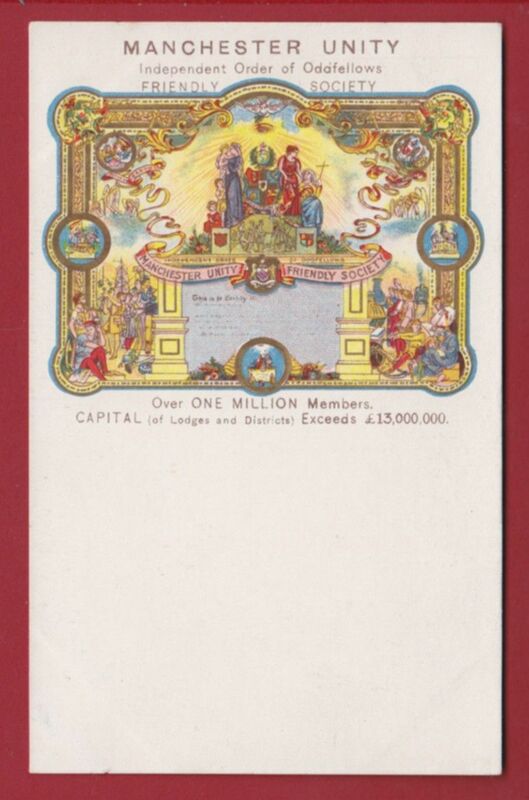 Further information on the archive of 267 works held by University of Manchester can be found by clicking this link. Just goes to show you there is still value in unearthing long forgotten tapes! Well unless your are poor ITV X FACTOR judge Tulisa Contostavlos who only wishes her more personal tapes were still very much hidden! Belle Vue Zoological Gardens included a zoo, amusement park, exhibition hall complex and speedway stadium opened in 1836 and eventually closed in 1987. 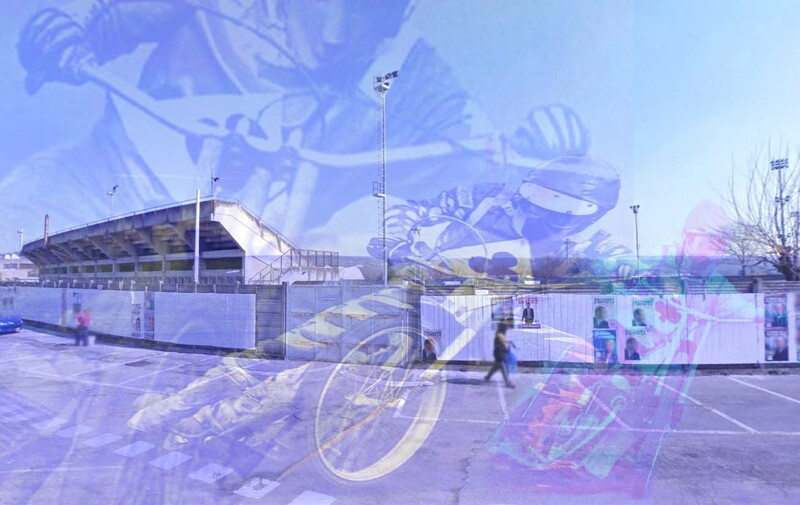 The speedway however is still going strong and remains very popular and is home to the world famous Belle Vue Aces. Belle Vue Stadium as its officially called is also home to Manchester greyhound racing. Notable for holding the first race on an oval track in 1926. If you would like to add any further information, memories, pictures or stories regarding this post, HistoryME, would love to hear from you. 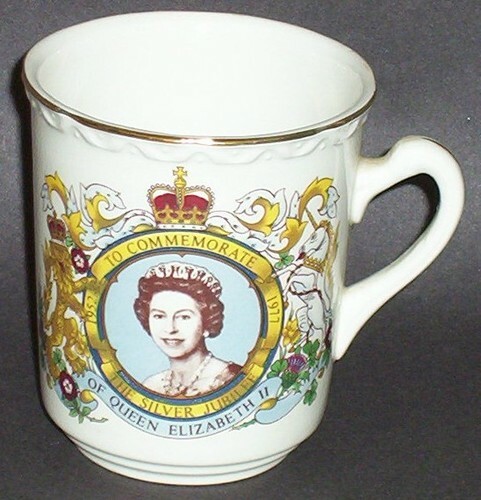 This is a Odd Fellows Manchester Unity commemorative tea cup, marking the Silver Jubilee and the 25th anniversary in 1977 of Queen Elizabeth II’s accession to the British throne in 1952. 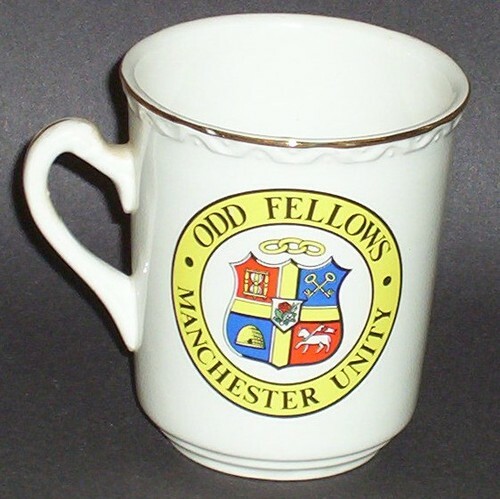 The Odd Fellows of Manchester or Manchester Unity were formed in 1810, born from a dissatisfaction with the ruling body of the time, The Grand United Order. Typically, the ‘quiet’ revolution that started in Manchester, would eventually spread around the world and to the formation of many self governing new Orders, in particular in America. In 2012, Her Majesty The Queen will be celebrating her Diamond Jubilee – her 60th year on the throne and as part of the celebrations, she along with His Royal Highness The Duke of Edinburgh, will be visiting Manchester on Friday 23rd March. After arriving at Grade II-listed Manchester Victoria station, she will be visiting the Manchester Royal Eye Hospital, the Royal College of Music, Manchester town hall and Manchester Central. The Queen will also be visiting Salford, where she will be officially opening the BBC Media City UK Building, if she can only get past Dr Who nemesis, the Daleks, at Media City. She will also be visiting the Match of the Day and CBeebies recording studios, and watch the BBC Philharmonic Orchestra. The Queen and The Duke of Edinburgh will also be visiting the new University of Salford building where she will be greeted by students and lectures, along with the Chancellor Dr Irene Khan (A former Secretary General of Amnesty International and newly appointed Director-General of the prestigious International Development Law Organisation (IDLO), Chairman of the University’s Council Dr Alan Mawson (founder director of independent venture capital firm, Electra Innvote in 1989), Vice-Chancellor Professor Martin Hall (historical archaeologist and strategic leader) and Deputy Vice-Chancellor Dr Adrian Graves. On the visit they will be shown around the new facility and also be shown the a new art installation entitled Decode/ Recode, marking 100 years since the birth of pioneering computer scientist and mathematician Alan Turing. The installation has been created by artists, scientists, academics and students from across the globe to collaborate on this globally networked interactive work. Those wanting to hold a celebration for the Queens Jubilee weekend – June 1 to June 5 or up until the 24th June 2012, can get up to £200 under the Manchester Diamond Celebrations scheme. Community and neighbourhood groups can apply from April 13th 2012. Queen Elizabeth The Queen Mother visiting the newly restored Free Trade Hall in Manchester in 1951. 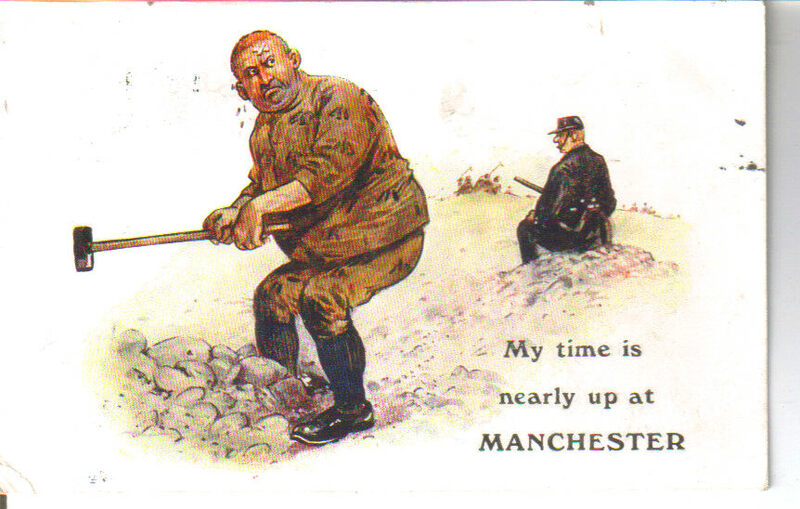 This is an old postcard with an intriguing and somewhat unusual design, which can only be assumed to be a nod to Manchester’s famous prison H.M.P. Manchester or more commonly referred to as Strangeways and indeed its sense of humour. There was no writing on the postcard and no other details. Could this have been from a cheeky inmate, perhaps!? The story of how Native American peoples settled in parts of Manchester and Salford towards the end of the C19th is well chronicled. Their legacy, graves and descendants are part of the weft and weave of the Manchester landscape, while aspects of their culture and spirituality continue to inspire and inform the character of the area. Native American drumming groups abound across the city, while significant numbers of Mancunians of Native American descent still take part in the annual migration to Scotland for the Gathering of the Chiefs. The Celtic-clan system and tribal societies resonate one with the other. Just as, following the dreadful Highland Clearances, many Scots found refuge in lands like Canada and New Zealand whose landscapes shared similarities with their Highland homes, so too did Native North Americans discover in Scotland an echo of familiarity. But it is not of Scotland that I would write, though the astonishing collision of history that links the McDonalds of Glencoe with the Nez Perce people of North America is well worth the telling. No, it is of the visit of one of the greatest community leaders of the American West to West Gorton that I would speak, though it always bewildered me in my youth that he came here at all. When Buffalo Bill invited him to take part in his Wild West Show’s European tour, the great Sioux war chief Sitting Bull must have had very good reason to eventually agree to do so. At the Battle of Little Big Horn he had defeated Custer, a man hell bent on wiping out his people and their culture forever. The Wild West show perpetuated the myth of a triumph of civilizing whites over red skinned savages, so why on earth would Sitting Bull have anything to do with it? 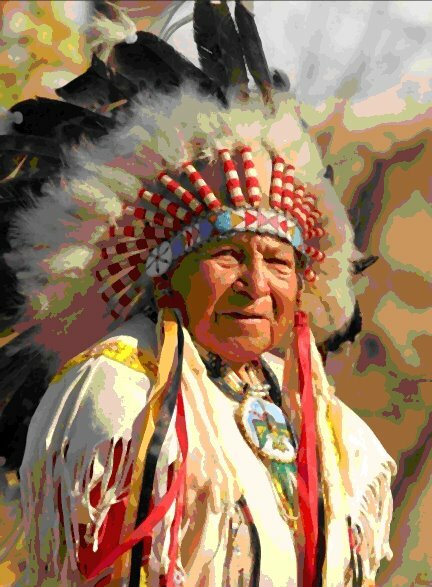 Could the answer be that, under pressure from the US government to persuade their peoples to give up their free life and go live on reservations – something those of us who lived through the “slum-clearances” can empathise with – that Sitting Bull and other tribal leaders concluded that Buffalo Bill’s tour would give them some breathing space? Was it possible that these wise-ones foresaw that within a few generations, their involvement in the tour would seed a future in which at least some of their descendants would be living freely under less familiar skies? Whatever the reason, the fact is that the Northwest of England and communities like West Gorton have benefited enormously from a decision made in the American West. Want to know about other interesting characters that helped forge the gritty character of Manchester? Look out for future instalments. Strangeways prison bag. Courtesy A. Hall. This is an official bag from high-security prison Grade II listed Strangeways, now formally rebranded as HMP Manchester, in Cheetham Hillor Cheetham ward of Manchester. 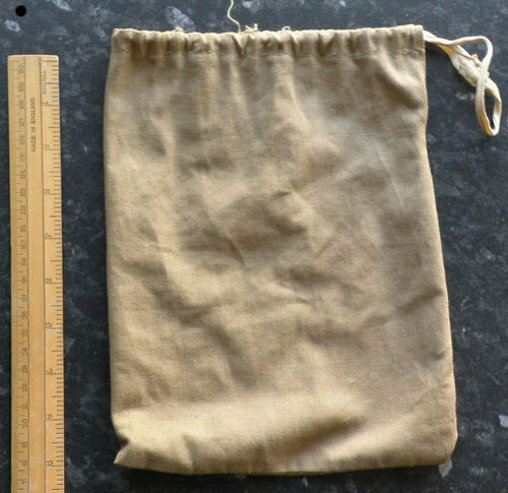 It is unclear if the bag was made at Strangeways, possibly by one of the short or long stay residents or indeed the guards or simply made outside the prison. 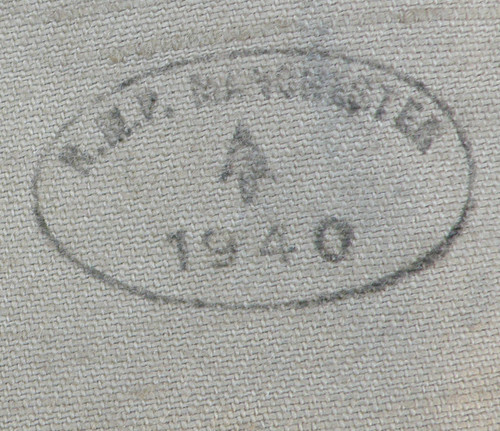 The bag bares the Government stamp, the “broad arrow” and is dated 1940. It reads H.M.P. MANCHESTER. 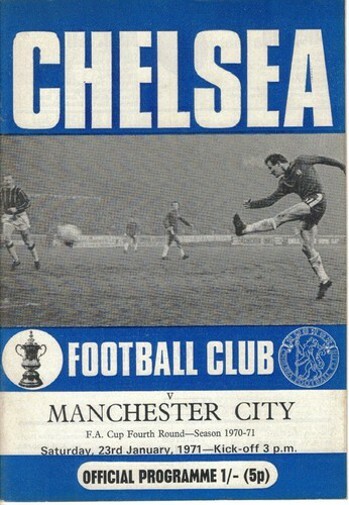 Chelsea v Manchester City FA Cup programme cover from Saturday January 23rd 1971. Courtesy E. Jordan. This is a programme from the FA Cup 4th round tie between Cup holders Chelsea and Manchester City, played at Chelsea’s homeground, Stamford Bridgeon Saturday January 23rd 1971. City went on to beat the 1970 FA Cup winners by 0-3 goals. The first two goals were scored by City legend, Colin Bell and the third by Ian Bowyer. Maine Road stadium was demolished in 2004, after more than 80 years of football history and having been host to arguably Manchester City’s greatest teams. 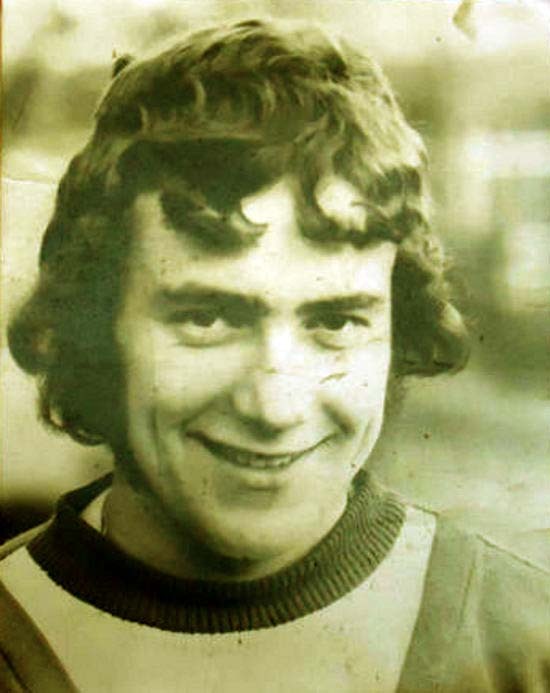 This is a photograph of Manchester-born Belle Vue Aces speedway superstar, Peter Spencer Collins MBE, taken around 1976. 1976 was not Collins most prolific year, but it was a year that will stick in many a speedway fans minds, because it was the year that Collins won the the Individual World Speedway Championship. On the September 5th at the Slaski Stadium in the South of Poland, located in Upper Silesia between the old industrial hubs Katowice and Chorzów, Collins triumped to the rapturous cheers of 120,000 spectators as he was crowned Champion of the World. Collins must have felt at home in Poland on that mild September night; amongst the spectres of Polish industry and its subsequent decline, as Manchester in particular around The Aces Belle Vue home in Gorton, where many global industrial giants were born and subsequently laid to rest, such as train pioneers and makers, Beyer Peacock and Company, whom by the 1970s were one of a growing number of industrial remnants and memories of a once glorious Mancunian past. Collins wooed the Belle Vue crowds throughout the 1970s and 1980s; his thrilling races often meant spectators being showered with “shale on pit bend”. Peter Collins went on to win nine more titles including the British League Title and World Pairs Championship in 1984, pairing with fellow Mancunian Belle Vue Ace Chris Morton at Santa Marina Stadium in Lonigo, Italy.